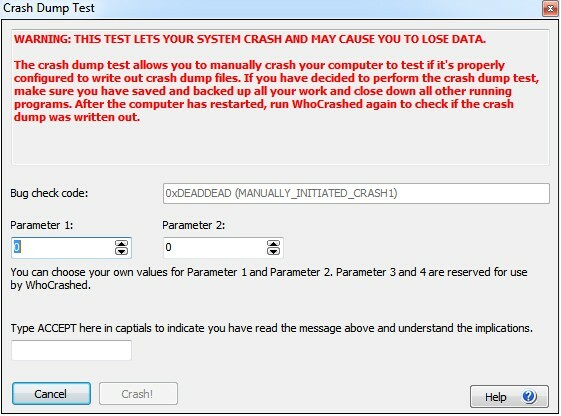 WhoCrashed allows you to manually crash your computer for the purpose of testing if crash dump files are written out properly. Page generated on 4/19/2019 12:15:51 AM. Last updated on 5/9/2017 11:27:20 AM.